If only we had been able to get away the weekend prior it would have been a perfect day. Just because it would have been a lot cooler. Nevertheless, we managed to stay in the shade as much as possible and the kiddos had a blast. 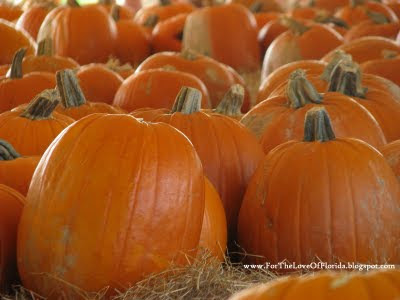 My daughter found out about a Pumpkin Festival down in Manatee County so she and I loaded up the kiddos and headed that way last weekend. We don't have any thing like this here in Hillsborough County. It was more like being somewhere in the midwest ... but the humidity reminded us we weren't. 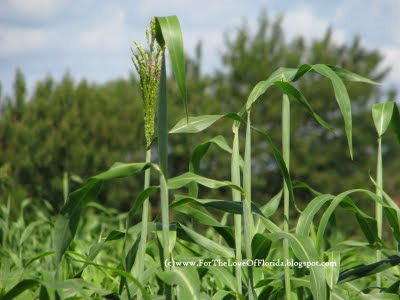 Hunsader Farms is a working farm all year round which alone is very impressive. In October, for two consecutive weekends, they set up acres and acres of their land with a festival. It has all the usual food vendors and face painting, petting zoo, hay rides, pumpkin patches, pony rides, produce market, and doggie-trick shows. As well as some not so usual attractions like the pumpkin shooting canon and motocross tricksters the boys declared was THE best part of the day. Side note: today they are hosting a Fall Fun On The Farm Day. 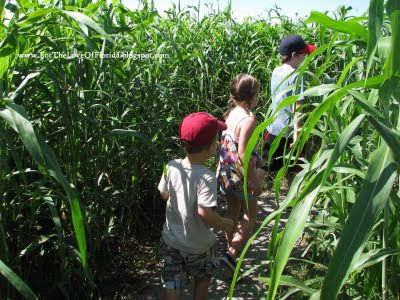 We don't display our little one's faces on the Internet but here they are following each other through the corn maze. We got some great photos of them in the pumpkin patch and getting their faces painted. The booths and activities are set up by charity organizations and the proceeds go to non-profits. 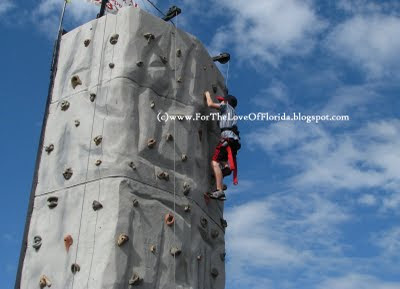 The oldest grand-kiddo is used to scaling these rock walls. He got to the top like a true mountain climber in no time. Very fun day! It is such a treat for us when all the kiddos are together. They get along so well and love being with each other. For me, it is like déjà vue. Boy, girl, boy. Just about the same exact age differences as my own three. We are richly blessed. 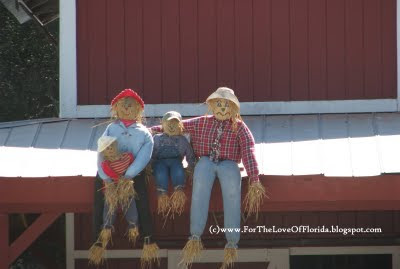 we may have to pretend it's Fall here in Florida, but this post is perfect to take us there - and i don't feel the heat at all ;-) such a treat for the young'uns too! good memories for the three of them. thanks for sharing!